The School of Sorcery — GTFO! Did I say this escape room was difficult for two people? Yes, it was. The puzzle flow multi-linear. Thank God they gave us hints. We needed it in order to get out before the hour. There were so many things to do and way too much for two people. The puzzles were good and gave a nod to each Hogwarts Houses. There was one hi-tech puzzle which was difficult to do only because the instructions were written wrong and this ALMOST made us lose. I think the hi-tech puzzle was cool only if it worked. 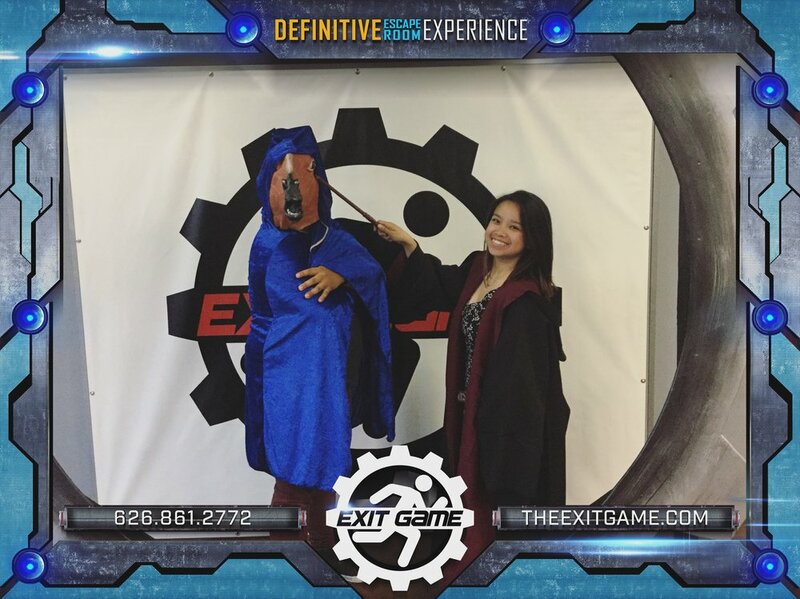 Just like the other escape rooms in Exit Game, this escape room was very well made. With the use of technology, you are transported to a Hogwart-ish environment. Good value. It would be a better experience if they improved the hi-tech puzzle at the end and re-wrote the instructions they provided. If you like Harry Potter, yes. Bring a team of at least 4 people to increase the probability of escaping.